The Addams family receive a visit from Mr. Hilliard, the school Truant Officer. 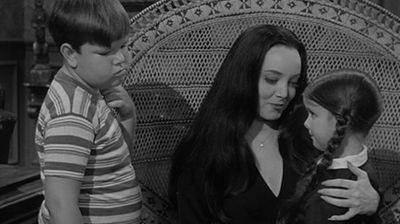 He informs them that Wednesday and Pugsley by law must attend school. The kids then come home in tears after being read Grimm's Fairy Tales and the Addams decide to do something about it.